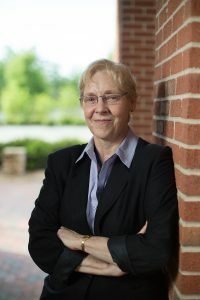 In this post, Frances Dykstra, Assistant Vice Chancellor for ITS Enterprise Applications, discusses the ConnectCarolina Enterprise Resource Planning (ERP) system and the expected ConnectCarolina changes during the 2017-2018 fiscal year. ConnectCarolina provides the University and UNC General Administration with an integrated system to support effective business processes for Student Administration, Finance, Human Resources and Payroll. Organizations implement Enterprise Resource Planning (ERP) systems to manage institutional resources and costs, including procuring and paying for goods and services, hiring, managing and paying faculty and staff, performing accounting functions, and providing data to help support management decision-making. An ERP is never done. After it is implemented, it provides the basis to react to accommodate environmental challenges and opportunities. We hope to continuously improve the system to take advantage of new capabilities, new technologies and to address the new types of problems that arise. An ERP is not a destination, it’s a journey. The ConnectCarolina journey began in 2009 when Student Administration began using the PeopleSoft ERP system to support the functions of student recruiting, admissions, records, enrollment advising, curriculum management and student financials. In October 2014, Human Resources, Finance and Payroll went live, and in 2017 and 2018 the next major stop on the ERP implementation journey is a system upgrade that will, among other benefits, maintain data security, ensure compliance with federal and state regulations, and improve operational efficiency. 1. Infrastructure improvement that we hope will reduce future maintenance costs for the University and also make it easier to deliver new functionality. This is really a behind-the-scenes change. 2. We have a goal to begin implementing a new interface to simplify ConnectCarolina navigation and reduce the number of clicks. 3. We are working hard to improve reporting capabilities so people will have better information to help support them in making business decisions. For instance, in early September, we rolled out a new Principal Investigator (PI) Dashboard report that gives PIs direct access to information about their sponsored projects.